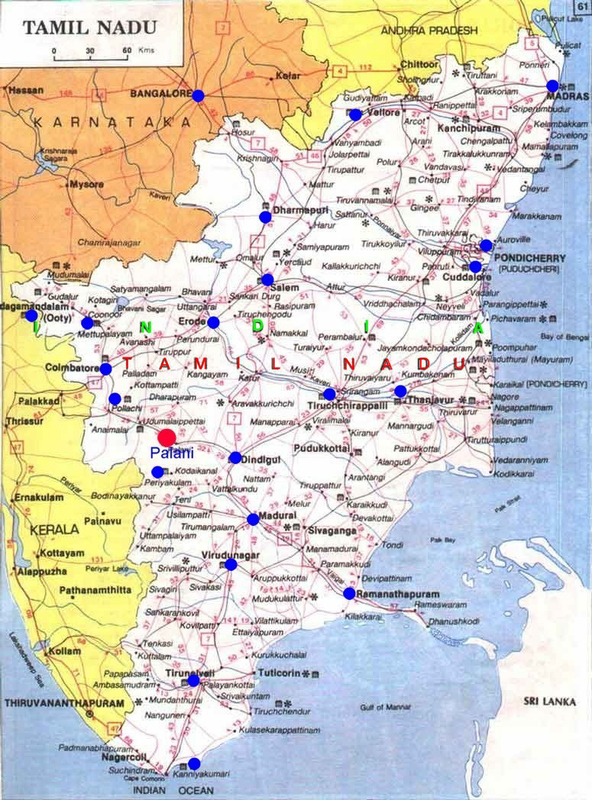 Palani is situated in Dindugal district of Tamil Nadu state in India.Palani is situated in Dindugal district of Tamil Nadu state in India. There are lot of lodges available at Palani. We have listed the Lodges and Marriage halls associated with the Thiru Kovil Devesthanam and their per day tariff on normal days. Note on festival days the tariff normally doubles. Tariff per day in Rs. Mandabam/Big Hall Mandabam Tariff in Rs. List of Poojas performed in the Palani Murugan temple , timing and the fees for the Pooja on Festival Days and Ordinary days are provided below. The pooja fees are subjected to change as per Dhandayuthapani Swamy Thiru Kovil Devasthanam. We will make sure that the information provided below are as latest as possible. 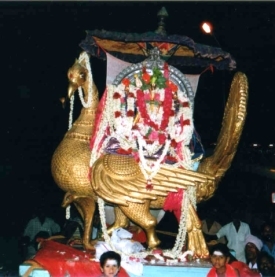 There will be NO procession of Golden Chariot on Thaipoosam, Panguni Uthiram , Navarathiri, Soora Samharam and Karthigai Deepam days. Fees can be paid on the same day of Golden Chariot procession. There are various "Kattalai" (special poojas) in effect. One can participate on these special poojas by depositing a certain amount as fixed deposit with the temple devasthanam. The Thiru kovil will send the "Prasadam" after performing the special pooja on a particular day of every year as requested by the devotees. Alternatively one can participate on these special poojas by paying the per-time fee, the details of these special poojas and the deposit amont or per-time fee are provided in the table given below. For the facility of children and aged people who are not able to climb the hill there are 3 Winches are currently operating to shuttle the piligrims to the temple. A very nominal charge is collected as fare for travelling in the winch. The temperature ranges from 25 degree celcius to 40 degree celcius. Taking photos is not allowed inside the temple. Footwear are not allowed inside the temple. A Hotel is also located at the Palani Hill near the Winch station to facilitate devotees.